Research from an international team of investigators has found that independent of the identical genes shared by monozygotic (MZ) twins, they also share epigenetic similarity that influences their characteristics. The study, “Epigenetic Supersimilarity of Monozygotic Twin Pairs”, published in Genome Biology—proposes a mechanism to explain the extra level of similarity in MZ twins and show that it is also associated with risk of cancer in adulthood. Epigenetics works by adding or removing chemical tags to genes to mark which ones should be used in different cell types. One of the better-studied tags, known to play a key role in embryonic development and cancer, is the methyl chemical group. Here, in a large group of identical and fraternal twin pairs, Dr. Waterland and his colleagues studied a group of genes called metastable epialleles. Previous work indicated that methyl tags are randomly added to metastable epialleles during early embryonic development and maintained throughout life. MZ twins are formed when the very early embryo splits into two parts and each continues to develop independently. In the current article, the authors devised and tested a simple model to explain their epigenetic supersimilarity hypothesis. “By analyzing peripheral blood DNA samples from healthy adults in our study, we have been able to show that methylation at epigenetically supersimilar genes is associated with risk of subsequently developing several types of cancer, including lung, prostate, and colorectal cancer,” said Roger Milne, Ph.D., associate professor and head of cancer epidemiology at Cancer Council Victoria, and an author on the study. Epigenetic supersimilarity seems to occur in a relatively small group of genes, but, as the researchers discovered, many of these are associated with cancer. To test whether these epigenetic markers might affect the risk of cancer, the scientists in Houston teamed up with cancer epidemiologists running the Cancer Council Victoria's Melbourne Collaborative Cohort Study in Melbourne, Australia. Back in the 1990s, this large study was set up to assess different risk factors for cancer. 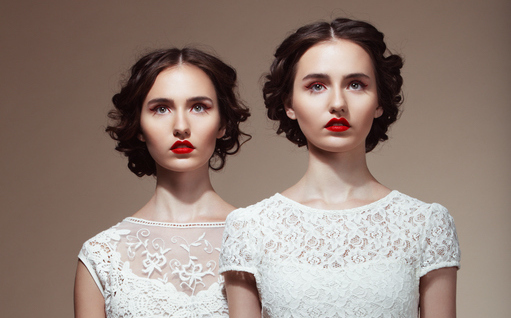 This study shows that, at the epigenetic level, identical twins are more similar to each other than previously recognized.